Click here for information about the ACESS STEM Scholarships. Dr. Batcher received a B.S.E.E. degree from Iowa State University in 1957 and M.S. and Ph.D. degrees from the University of Illinois in 1962 and 1964, respectively. 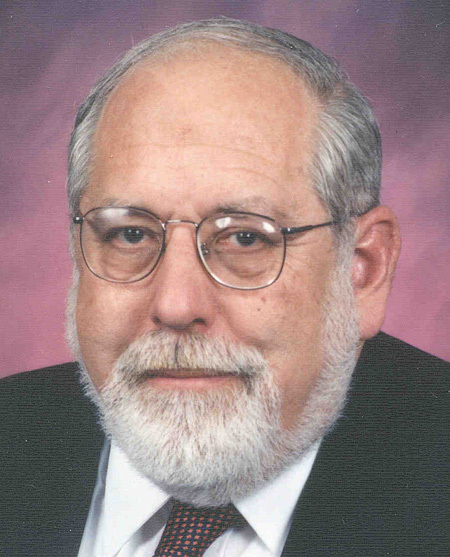 He worked in the Computer Engineering Department of Goodyear Aerospace Corporation (later Loral Defense Systems Division, now Lockheed-Martin Tactical Defense Systems Division) for 28 years where he developed the architectures of two SIMD parallel processors: the STARAN (1972) and the MPP (1983). From 1989 to 2009 he was a member of the faculty at Kent State University. He is the author of several technical papers and has 14 patents. He discovered two parallel sorting algorithms: the odd-even mergesort and the bitonic mergesort. He also discovered a method of scrambling data in a random access memory to allow accesses along multiple dimensions; these memories were used in the STARAN and the MPP. In 1990, Dr. Batcher was awarded the Eckert-Mauchly Award from the ACM and the IEEE Computer Society "for the pioneering implementation of parallel computers and for contributions to interconnection network theory." In 2007, he was awarded the Seymour Cray Computer Science & Engineering Award from the IEEE Computer Society "for the fundamental theoretical and practical contributions to massively parallel computation, including parallel sorting algorithms, interconnection networks, and pioneering designs of the STARAN and MPP computers." He is a Fellow in the ACM and a member of SIGARCH. 1953 High School Diploma - Brooklyn Technical High School, Brooklyn, NY. Conference Presentations (including a link to the 1968 paper on Sorting Networks). Jimmy Shih, "Adding Fault Tolerance to Cube-Connected Cycles Networks," August 1991. Kathy Liszka, "Generalizing Bitonic and Odd-Even Merging Networks," August 1992. Majed Al-Hajery, "Bit-Level Bitonic Sorting Networks and their Role in Wormhole Multicast Routing," August 1994. Koung Goo Lee, "Routing Algorithms on Shuffle Exchange Networks," May 1996. Jae-Dong Lee, "Minimizing Communication in the Bitonic Sort," May 1996. Beverly M. Gocal, "On Routing Clos Networks," December 1996. Hongin Choi, "Fault Tolerance in Bitonic Sorting Networks and Static Shuffle-Exchange Networks," August 1997. Mostafa Rahmani, "The Quartet Property in Multistage Interconnection Networks" May 2005. Sherenaz W. Al-Haj Baddar, "Finding Better Sorting Networks" May 2009. Fellow in the Association for Computing Machinery (ACM). Past-Chairman of the Cuyahoga Valley section of the ACM. Member of the Special Interest Group on Computer Architecture (SIGARCH). 1982 International Conference on Parallel Processing - Program Co-chairman. 1980 - Arnstein Award presented by Goodyear Aerospace Corporation for technical achievement. 1990 - Eckert-Mauchly Award presented by the ACM and the IEEE Computer Society "for the pioneering implementation of parallel computers and for contributions to interconnection network theory." 2007 - Seymour Cray Computer Science & Engineering Award presented by the IEEE Computer Society "for the fundamental theoretical and practical contributions to massively parallel computation, including parallel sorting algorithms, interconnection networks, and pioneering designs of the STARAN and MPP computers."